Joe Brown is a one off, no question about it. The cheeky chappie with the cockney accent has forded the tides of change, weathered the decades and bridged assorted musical genres with a stellar aplomb unrivalled. His capacity to impress and amaze never falters. And now, following a mega successful trial run last year, Joe embarks on a major outing by HIMSELF, his first National solo tour. No band, no supplementary backup musicians, no dancing girls - just Joe Brown, unadulterated, upfront and personal. Kicking off in October this year, the tour runs until March 2018 encompassing a staggering 70 dates. Not bad for a man in his mid seventies and testament to his enduring popularity over the years. 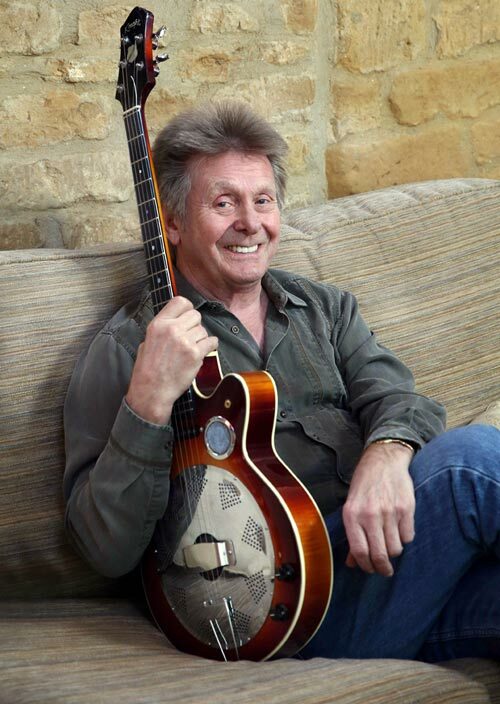 Of course Joe Brown MBE is well known for being one of the UK’s original rock ‘n’ roll guitar pioneers. More recently, since The Concert For George, he’s become the leading light and staunch champion of the ukulele. His history is unique and remarkable. From the days of music hall and growing up in an East End pub through the skiffle era of Lonnie Donegan then jumping, almost overnight, into rock’n’roll, Joe’s seen it all. Keith Richards respects him, George Harrison loved him, the Beatles supported him, Mark Knopfler plays with him…the man is unique. He’s been a radio star, a TV personality, an actor and, not least, the head of a musical dynasty. To say this man has a few stories is an understatement - and on this tour he’s going to tell them! Anecdotes and the odd joke or two will be interspersed with some of the great music that has made Joe such a sought after performer today. And, if that weren’t enough, he’s got an old friend along too. Special Guest for the night will be guitar maestro Henry Gross. No slouch himself at the odd drollery and raconteuring (think Jackie Mason of the beat age), Henry was the lead guitarist, singer and founder of hit US group Sha Na Na. He was also the youngest musician to appear at Woodstock. To say he’s a superlative musician would be an understatement. And as a special bonus the show last year was recorded, all the highlights - the stories, the music, the jokes, warts and all. A double album produced by Henry is released on 6 October and will be available at all live dates as well as all usual outlets, a great tribute to a truly memorable night.